Publication of this title ceased in 1991. Note: By publisher request, JSTOR is decreasing the moving wall from 3 years to 2 years. Note: By publisher request, JSTOR is reducing the moving wall from fixed to 5 years. Note: The content for 2001 will be released as soon as the issues become available to JSTOR. The new combined enterprise will be called Ithaka and will be dedicated to helping the academic community use digital technologies to advance scholarship and teaching and to reducing system-wide costs through collective action. This is a natural step for these organizations. JSTOR and Ithaka already work closely together, sharing a common history, values, and fundamental purpose. During 2008, the Ithaka-incubated resource Aluka was integrated into JSTOR as an initial step, further strengthening ties between the organizations. JSTOR will now join Portico and NITLE as a coordinated set of offerings made available under the Ithaka organizational name. In addition to JSTOR, Portico, and NITLE, Ithaka’s existing research and strategic services groups will remain important parts of the enterprise. The board will be composed of Ithaka and JSTOR Trustees, with Henry Bienen, President of Northwestern University, serving as Chairman and Paul Brest, President of the Hewlett Foundation as Vice Chairman. JSTOR is an independent not-for-profit organization dedicated to helping the scholarly community discover, use, and build upon a wide range of intellectual content in a trusted digital archive. The JSTOR archive includes over 800 leading academic journals across the humanities, social sciences, and sciences, as well as conference proceedings, transactions, select monographs and other materials valuable for academic work. More than 5,200 academic and other institutions in 143 countries and over 600 learned societies, university presses, cultural heritage, and other content contributors participate in JSTOR. Since the public launch of the archive, over 750 million articles and other items have been accessed by researchers and students throughout the world. Ithaka is an independent not-for-profit organization with a mission to accelerate the productive uses of information technologies for the benefit of higher education worldwide. Ithaka provides research, strategic, and administrative services to promising not-for-profit projects, helping them to develop sustainable organizational and business models. It also works with established institutions that are rethinking the way they serve their core constituents. Ithaka includes Portico a digital preservation archive to which more than 8,200 e-journals and 4,600 e-books are committed, and NITLE, a suite of services supporting the innovative use of technology in liberal arts education. The eJournal portals Persée and Revues.org are collaborating to provide full-text searching of both sites. Persée serves digitized backfiles, and Revues.org hosts recent issues. The new HEB News (Vol. 3, No. 1) has just been released and will be available shortly at the link below. It also introduces new viewing options for the books on the HEB site and a new title-list format. A group of young researchers who completed their studies within the milieu of the Università degli Studi di Napoli “L’Orientale” or carried out their post-graduate research work in the same university started the publication of Orientalia Parthenopea Journal in June 2005. The journal collects essays on Eastern Cultures from Eastern Europe to Far East Asia and Comparative Studies.The editorial board of Orientalia Parthenopea reserves for itself the right to use experienced national or even international referees to evaluate the quality of the articles. Among our referees figure the following scholars: Giorgio Amitrano, Michaela Böhmig, Gianluca Coci, Riccardo Contini, Lorenzo Declich, Francesco De Sio Lazzari, Amedeo Di Francesco, Salvatore Diglio, Gennaro Gervasio, Hayashida Kenzo, Giancarlo Lacerenza, Amedeo Maiello, Luigia Melillo, Shyam Manohar Pandey, Adriano Rossi, Domenico Silvestri, Adolfo Tamburello, Giovanni Verardi.All scholars for whom qualitative research methodology are basic perspectives of orientalistic disciplines, are welcomed to submit their articles and support our initiative. There will be published empirical, theoretical and methodological articles applicable to all fields and specializations within orientalistic disciplines.Subject CoverageTopics include, but are not limited to, the following:History, Archeology, Art, Medicine, Linguistics, Literature, Comparative Studies, Philosophy, Religion, etc. "I Quaderni del Ramo d'Oro on-line" costituiscono la rivista del Centro Interdipartimentale di Studi Antropologici sulla Cultura Antica (Università di Siena).Iscritti nel Registro Periodici del Tribunale di Siena (l'ISSN è in corso di attribuzione) e di consultazione libera e gratuita, "I Quaderni del Ramo d'Oro on-line" pubblicano contributi previa valutazione da parte del Comitato Scientifico. This is interesting. 23,000 % increase in sales after open access is granted? Granted it's Monty Python (Graham Chapman, John Cleese, Terry Gilliam, Eric Idle, Terry Jones, Michael Palin, &c. but still, two of their films were about the ancient world (more or less): Monty Python and the Holy Grail (1975) and Monty Python's Life of Brian (1979), and they engaged archaology from time to time: Archaeology Today; and enjoyed a sophisticated argument; and poked fun at the academy at home and abroad - not too different from lots of people I know. In any case a 23,000 % increase in sales after granting open access is a nice benchmark. The online catalogue of the Oriental Institute Research Archives contains entries for materials catalogued in the library since 1987, and complete analytics (essays, articles and book reviews) for materials catalogued since 1990. The catalogue also includes earlier materials, and retrospective cataloguing of the entire collection will ultimately make all Research Archives materials accessible. At present, the Research Archives on-line catalogue contains well over two hundred thousand entries, searchable through a library database program. Wilbour Library, Brooklyn Museum of Art: Online Catalog has a new interface, a component of Arcade, the catalog for the New York Art Resources Consortium (NYARC). The Wilbour Library catalogue is an excellent source of bibliographical information on Ancient Egypt. ETANA is the American Library Association's Digital Library of the Week. On January 8th 2009 the Brooklyn Museum issued more than 4000 new images from their Libraries and Archives Department to the web. These join the 5700+ works of art and the nearly 10,000 views of past exhibitions they have already published online. In 1849, the Philadelphia daguerreotypists William and Frederick Langenheim introduced the lantern slide: a transparent image on glass that could be projected, in magnified form, onto a surface using a "magic lantern," or sciopticon. This new technology expanded the uses of photography, allowing photographic images to be viewed by a large audience. With lantern slides, Museum curators and educators could illustrate their lectures, letting audience members see detailed studies of objects and sites from around the world. The Brooklyn Museum's lantern slide collection was started by the Museum's curator of fine arts, William Henry Goodyear, in the late nineteenth century. With the assistance of the photographers Joseph Hawkes and John McKecknie, Goodyear reproduced images of archaeological and architectural sites in Europe as well as images of the Paris Exposition, which Hawkes often hand-colored for more realistic effect. The lantern slide collection also developed through the efforts of the curator of ethnology, Stewart Culin, and his successor Herbert Spinden, who created and purchased images of objects and sites. Historical images of Museum galleries, New York City scenes, and buildings also became part of the collection. In 1921, a significant addition of 118 boxes of slides, originally the property of Franklin Hooper, Director of the Brooklyn Institute of Arts and Sciences, was consigned to the Museum, the Children's Museum, and the Botanic Garden. With the introduction of smaller transparencies in the 1950s, the use of lantern slides declined. The glass slides have remained quite valuable, however, because they depict scenes, people, and events from an earlier time, as well as sites and objects that simply no longer exist. The Museum's Library now holds 11,710 glass lantern slides, which were selected from the extensive lantern slide collection in 1990. At that time, archives staff conducted an initial evaluation and sorting project identifying several categories to be excluded from the collection. Among the excluded categories were reproductions from books, non-Brooklyn Museum objects, and items from natural history and general history. Ten years later, the Goodyear lantern slides were cataloged and scanned as part of the Goodyear Archival Collection. In 2005, archives staff produced a detailed content and condition survey of the balance of the lantern slide collection. Of the original collection of 11,710 glass lantern slides, 3,093 have already been catalogued and scanned as part of the Goodyear Archival Collection. The non-Goodyear slides have been surveyed and described in the current project. Some of the slides were commercially produced; others appear to have been made by Museum or Brooklyn Institute staff. Some were hand-colored. The images have been organized into several broad sections or series, including "Brooklyn Museum," "Native Americans," and "Views." The two largest series of images are "Views: Objects, Egypt" and "Views: Italy." English archaeologist and photographer Alfred Percival Maudslay (1850–1931) first visited Central America in 1872 after being inspired by the images he saw in Incidents of Travel in Central America, Chiapas, and Yucatan by John Lloyd Stephens. The "unexpected magnificence of the monuments" in the tropical forests captivated Maudslay, who then dedicated his life to documenting ruins found in Mexico and Central America. Maudslay played a crucial role in exploring and documenting ancient Mayan ruins found in several sites including Palenque, Copan, and Chichen Itza. Between 1881 and 1894, he conducted arduous explorations in remote areas, carrying his photographic equipment, casting plaster, and other supplies to make careful photographic records and plaster casts of architectural ruins. When he returned to England he published his findings in a multi-volume set entitled Biologia Centrali-Americana and made exhibition prints from his glass plate negatives that were shown at the World's Columbian Exposition in Chicago in 1893. It was in Chicago that Brooklyn Museum founding curators Stewart Culin and William Henry Goodyear saw the prints and arranged to purchase them, along with the Biologia for the Brooklyn Museum. The photographs and the multi-volume book remain an essential foundation for Maya studies, offering thorough views of the architectural ruins along with details of hieroglyphs carved into the monuments. In the face of wide-scale looting that has imperiled the historical record, researchers have turned to Maudslay's photographs, his plaster casts, and his books to better understand Mayan writing and architecture. On Saturday 10 January 2009 there was a panel: "Podcasting and the Classics". This is the first experiment by the American Philological Assocation and the Archaeological Institute of America to podcast a session at their joint Annual Meeting. Jennifer Sheridan Moss: Present Imperfect--Perhaps Future Perfect? I direct you to Michael Smith's important and interesting comments at Is Precolumbian America part of “The Ancient World” ?, and to my response. Being an enightened institution, the Oriental Institute allows public access to basic statistics on access to its website. Over the winter break I played a little with the numbers for 2008, and posted a note on them over at The Oriental Institute: Fragments for a History of an Institution. I'm reproducing part of that posing here. This section lists the twenty-five most frequently downloaded digital versions (pdf) of formal publications of the Oriental Institute for 2008. Note that some of these are fairly recent, but others are old standards. Oriental Institute 2002-2003 Annual Report, downloaded 4853 times. OIS 4. Religion and Power: Divine Kingship in the Ancient World and Beyond, Nicole Brisch, ed., downloaded 3152 times. OIS 3.Performing Death: Social Analyses of Funerary Traditions in the Ancient Near East and Mediterranean, Nicola Laneri, editor, with contributions by Nicola Laneri, Ellen F. Morris, Glenn M. Schwartz, Robert Chapman, Massimo Cultraro, Meredith S. Chesson, Alessandro Naso, Adam T. Smith, Dina Katz, Seth Richardson, Susan Pollock, Ian Rutherford, John Pollini, John Robb, and James A. Brown, downloaded 2924 times. The Assyrian Dictionary of the Oriental Institute of the University of Chicago (CAD), Volume 14, R, 1999, downloaded 2806 times. The Assyrian Dictionary of the Oriental Institute of the University of Chicago (CAD), Volume 12, P, 2005, downloaded 2781 times. The Assyrian Dictionary of the Oriental Institute of the University of Chicago (CAD), Volume 1, A, part 1, 1964, downloaded 2679 times. The Assyrian Dictionary of the Oriental Institute of the University of Chicago (CAD), Volume 18, T, 2006, downloaded 2613 times. SAOC 62. 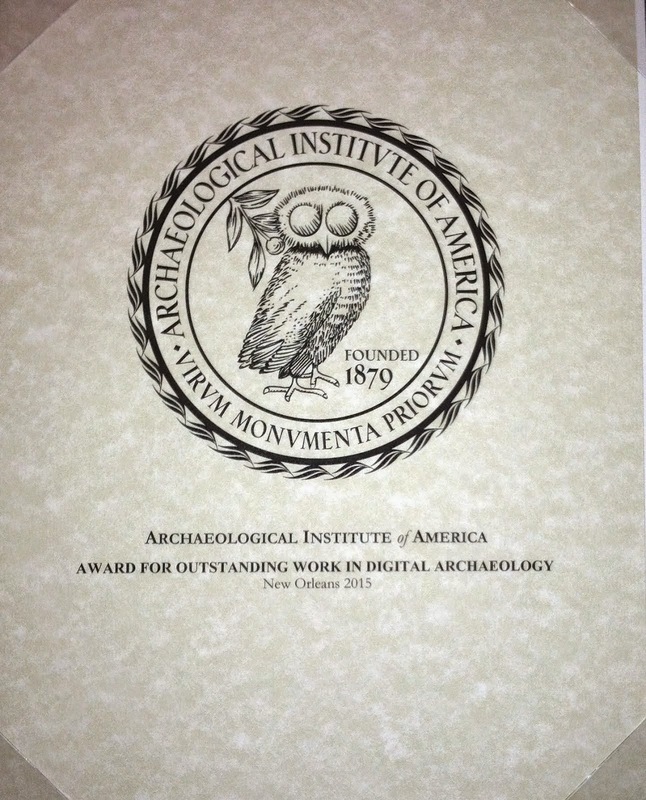 Proceedings of the 51st Rencontre Assyriologique Internationale, Held at the Oriental Institute of the University of Chicago, July 18–22, 2005, Robert D. Biggs, Jennie Myers, and Martha T. Roth, eds., downloaded 2416 times. OIS 2, Margins of Writing, Origins of Cultures, Seth L. Sanders, editor, with contributions by Seth L. Sanders, John Kelly, Gonzalo Rubio, Jacco Dieleman, Jerrold Cooper, Christopher Woods, Annick Payne, William Schniedewind, Michael Silverstein-, Piotr Michalowski, Paul-Alain Beaulieu, Theo van den Hout, Paul Zimansky, Sheldon Pollock, and Peter Machinist. (second printing), downloaded 2198 times. SAOC 61. Sacred Space and Sacred Function in Ancient Thebes, Peter F. Dorman and Betsy M. Bryan, editors, downloaded 2192 times. The Assyrian Dictionary of the Oriental Institute of the University of Chicago (CAD), Volume 19, T [Tet], 2006, downloaded 2163 times. MAD 2. Old Akkadian Writing and Grammar, I. J. Gelb, 1952, downloaded 1993 times. AS 27. Studies Presented to Robert D. Biggs, June 4, 2004 From the Workshop of the Chicago Assyrian Dictionary, Volume 2, Martha T. Roth, Walter Farber, Matthew W. Stolper and Paula von Bechtolsheim, eds., 2007, downloaded 1886 times. The Assyrian Dictionary of the Oriental Institute of the University of Chicago (CAD), Volume 10, M, part 1, 1977, downloaded 1621 times. The Assyrian Dictionary of the Oriental Institute of the University of Chicago (CAD), Volume 1, A, part 2, 1968, downloaded 1504 times. The Assyrian Dictionary of the Oriental Institute of the University of Chicago (CAD), Volume 10, M, part 2, 1977, downloaded 1495 times. OIMP 28. Catastrophe! The Looting and Destruction of Iraq’s Past, edited by Geoff Emberling and Katharyn Hanson, 2008, downloaded 1495 times. OIS 2, Margins of Writing, Origins of Cultures, Seth L. Sanders, editor, with contributions by Seth L. Sanders, John Kelly, Gonzalo Rubio, Jacco Dieleman, Jerrold Cooper, Christopher Woods, Annick Payne, William Schniedewind, Michael Silverstein-, Piotr Michalowski, Paul-Alain Beaulieu, Theo van den Hout, Paul Zimansky, Sheldon Pollock, and Peter Machinist. (first printing), downloaded 1491 times. The Assyrian Dictionary of the Oriental Institute of the University of Chicago (CAD), Volume 11, N, part 1, 1980, downloaded 1370 times. The Demotic Dictionary of the Oriental Institute of the University of Chicago, Janet H. Johnson, editor: Prologue, downloaded 1362 times. The Assyrian Dictionary of the Oriental Institute of the University of Chicago (CAD), Volume 9, L, 1973, downloaded 1306 times. The Assyrian Dictionary of the Oriental Institute of the University of Chicago (CAD), Volume 2, B, 1965, downloaded 1306 times. OIP 132. The Egyptian Coffin Texts, Volume 8. Middle Kingdom Copies of Pyramid Texts, James P. Allen, 2006, downloaded 1296 times. OIMP 25. Embroidering Identities: A Century of Palestinian Clothing. By Iman Saca in collaboration with Maha Saca, 2006, downloaded 1255 times. OIS 2 in its two printings is the 9th and 18th most popular digital publication of the OI during 2008 - collectively it would be No. 2, downloaded 3689 times. These seven entries appear on the Ancient World Bloggers Group blog, and are the antecedents to what will appear here on AWOL. AWOL - The Ancient World Online - 1: CEFAEL: Collections de l'Ecole française d'Athènes en ligne. AWOL - The Ancient World Online - 3: Peter Manuelian's wonderful Giza Archives Project, at the Boston Museum of Fine Arts. AWOL - The Ancient World Online - 4: Propylaeum-DOK - Digital Repository Classical Studies is the developing full-text server of the Virtual Library of Classical Studies and is made available by the University Library of Heidelberg. AWOL - The Ancient World Online - 5: Publications of the American School of Classical Studies at Athens are available online in open access formats. AWOL - The Ancient World Online - 6: ETANA Core Texts Full Listing. AWOL - The Ancient World Online - 7: Electronic resources from the University of Chicago.